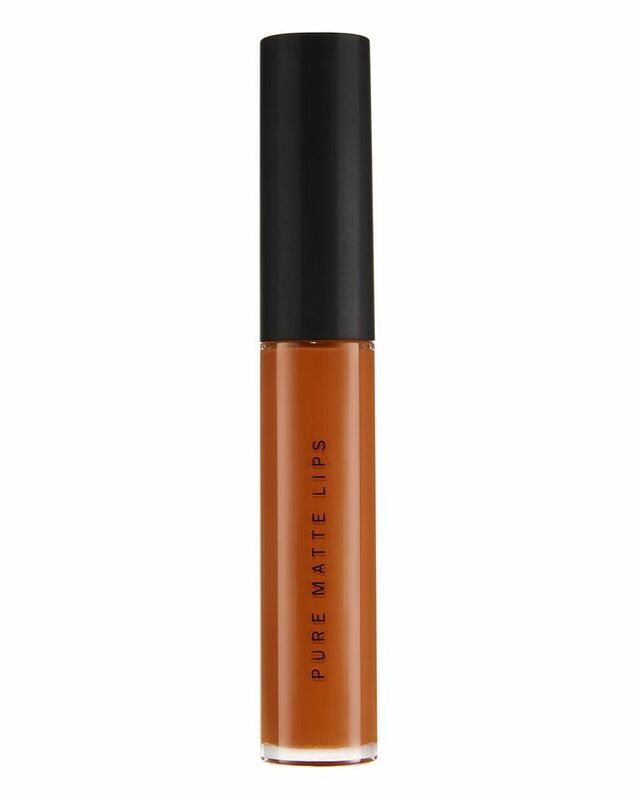 Flaunt your lips with this long-wearing, ‘infinitely’ matte lipstick, which drenches your pout in vibrant colour – there are eight shades, from timeless neutrals to brilliantly bold options. Leaving a fine, lightweight layer that sets to a velvety matte finish, the liquid lipsticks are ultra-comfortable to wear and deliver supple colour that lasts all day, thanks to the transfer-free, flexible formula. Give in to matte mania – or prolong your obsession – with ZOEVA’s Pure Matte Lips, a long-wearing, ‘infinitely’ matte liquid lipstick. Leaving a fine, lightweight layer that sets to a bold, richly matte finish, the formula is ultra-comfortable and supple, leaving a finish that lasts all day thanks to the transfer-free, ultra-flexible creamy formulation. There are eight shades to choose from, including timeless neutrals and brilliantly bold hues. There’s deep pumpkin ‘About Turn’, warm rosy brown ‘Courtesy Call’, muted mauve ‘Seeing Hearts’, greyish brown ‘Wicker Wings’, pure taupe ‘Calm Void’, light lilac ‘Dare To Dream’, vibrant bluish purple ‘Lost Muse’ and deep taupe green ‘Life Portion’. The specially shaped applicator enables easy and precise application, plus, the formula is enriched with protective vitamin E and totally free from any animal-derived ingredients. Gently exfoliate with a lip scrub. Blot off any excess oils. For a perfect result, outline the lip contour with the tip of the applicator first and fill in the entire lip afterwards. The shade is definitely not as described. Looked more stone than an extreme watered down version than the image of wicker wings. Leaves your lips feeling dehydrated.